Irish dance is growing in Asia, and Echoes of Erin Irish Dance is helping to lead the way. The dance school hosted the first open feis in Asia in June of 2012. 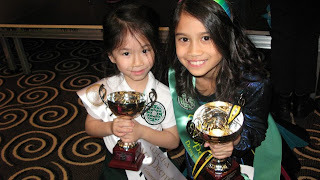 Now, only a year later, their feis marked another first--an international Irish dancing competition and premiership. The feis was held in Hong Kong on June 8, 2013. Dancers from over 25 nations came to attend the competition, some from as far away as Russia. Catriona Newcombe, founder of Echoes of Erin, is thrilled with the progress that Irish dancing is making in Hong Kong. Read on to find out what Catriona has to say about the future of Irish dance in Asia. Christy: How did Echoes of Erin get its start? Catriona: Echoes of Erin originally started in Florida, where I first starting teaching many years ago. I have since moved to England, France, Dubai, and have now Hong Kong. 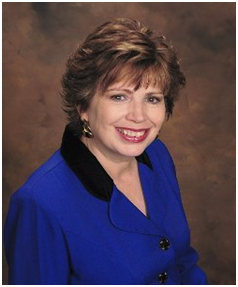 Christy: Where do you perform/compete? Catriona: We are very lucky to have the continuous support of the Irish community here in Hong Kong. We have performed alongside Brian Kennedy in Dubai, Davy Spillane in City hall Hong Kong, all the annual St Patrick’s Society’s Hong Kong functions, the Asian Gaelic games, and many more. Christy: Some of your dancers attended the WIDA World and European Championship. What did you do to prepare? Catriona: We had eleven kids and three adults attend the Competitions. For some this was their first feis ever. We practiced up to 4 hours a day, sometimes 5 times a week! It was hard work but we enjoyed every minute. Out of eleven children, we received around eight cups and 70 plus medals. Christy: Do you teach adult dancers? Catriona: We have a fantastic adult group! You are never too old to dance and it is so lovely to see the young dancers encourage and help the adults when we are performing. Three of our adults competed in the Europeans and Worlds Championships and received many awards. Christy: Tell me about your recent feis. 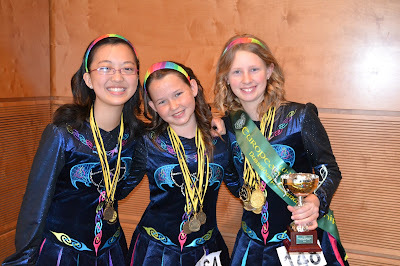 Catriona: We hosted Hong Kong’s very first open international Irish dancing competitions and premierships this year, and it was a great success! We were very lucky to have Les Baird, ADCRG, as our adjudicator and he was great! His comments and constructive criticism were invaluable. We were privileged to have Harry O Neil, the Honorary Irish Consulate of Hong Kong pop in to present his award, along with Canice Gleeson, founder of Asia’s only Celtic Connection Chamber Choir and International Concert Orchestra of Hong Kong, and many more! The Irish community in Hong Kong are brilliant and have supported Echoes Of Erin school of Irish Dancing since day one. We had over twenty-five nationalities attend the feis. It was amazing to see them all so absorbed in the fantastic art of Irish dancing. Monies raised at the feis went to the Jockey Club Sarah Roe School to help with getting a bus for the special needs children. 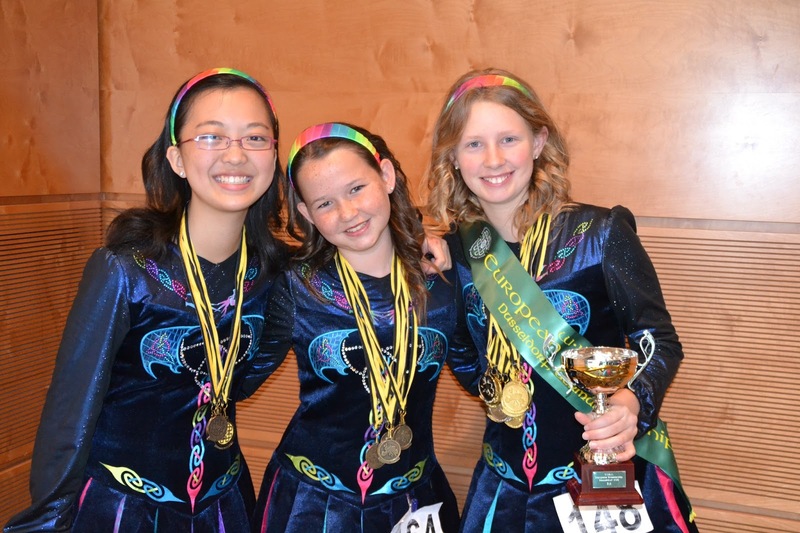 Christy: What do you envision for the future of Irish dance in Hong Kong? Catriona: To be able to teach such a diverse multi-cultural mix of children and adults and to watch them become so absorbed in the fantastic art of Irish Dancing, especially here in Hong Kong is a privilege. Under the wing of The St Patrick's Society Hong Kong, the Hong Kong Gaelic Football Club, the Irish Consulate/Irish Embassy, the Celtic Connections Chamber Choir, and the Irish Chambers of Commerce, the Irish dancing school here in Hong Kong is going from strength to strength and is thriving. We are looking forward to what the future holds! At Echoes of Erin, our main aims are to encourage and sustain pride, uphold tradition, inspire loyalty and school spirit, and strive to build friendships among all of our students. This to me is most important. 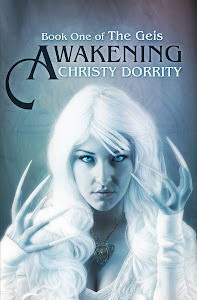 This September I am self-publishing my debut YA novel, AWAKENING, about a girl who must help her mentor return home to the land of youth before an ancient evil kills her family. This book is like a baby to me, with all of the hard work, late nights and exhaustion that comes with the territory. I love McKayla, and Aunt Avril, and Josh, and Cliona, and all of the other people that have magically come alive on the page. Naturally, I want everyone to read and love my book as much as I do. And the best way for people to learn about my book is by word of mouth. But there are so very many books being published every day. How will a little author like me push my baby out in the world so that everyone can see it? I'm hoping that a Street Team will be the answer. What is a street team? A Street Team is a group of people who read my book and like it. Then they go out and tell people about it--through social media, reviews, word of mouth, and in person to those they think will enjoy it. Why would someone go to all of that work? 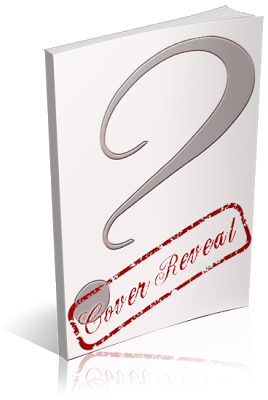 Because they love me, AND because I will thank them with advanced reader copies, exclusive first cover reveals, swag, and bonus materials. I'm so lucky to already have 14 people on #teamawakening already. I'm looking for 25 or 30 more people to join. Anyone can help: teens, adults, librarians, soccer moms, anyone who loves to read. I would love for you to sign up. If you are interested, will you please do me a favor and sign up on this handy form? Thanks! This month I've seen some dramatic changes in the way I feel, and the way my clothing fits. I have tremendous stamina, am learning more than one dance at a time (something I couldn't do before), and my confidence shows in the way I attack my routines. Life is not perfect--it is full of holidays, vacations, desserts and days when you just can't exercise. But what happens when you sustain an injury and are unable to dance and workout? It would be easy to give up and say, "that lifestyle change was a good idea, but it's too hard". But you don't have to. Here are some ideas for helping you recover and get back to your goals. 2. Use the down time for strength training and mental conditioning. Stretch uninjured muscles, take a walk (doctor permitting) and research new techniques. Put on some of your favorite practice music and visualize yourself dancing a perfect step. Keep your body and mind sharp, and you won't even miss a beat. 3. Take it slow. When you go back to dance class, listen to your body. If your injury starts to feel painful or strained, lower your intensity level, or sit it out and observe the lesson. In fact, he only wanted to go to sleep and possibly dream about Melanie Stephens. But explosions had a funny way of happening when Conner and his friends were around. 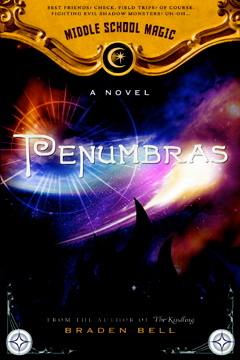 Don't you just love the word Penumbras? It sounds so suave and mysterious. Read on to find out what it means! 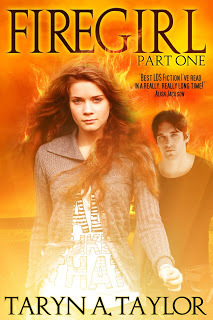 Author Bio: Braden Bell grew up in Farmington, Utah and graduated from Davis High School. He earned bachelor’s and master’s degrees in theatre from Brigham Young University and a Ph.D. in educational theatre from New York University. 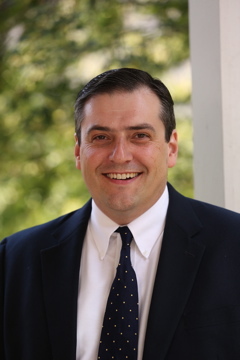 He and his wife, Meredith live with their five children on a quiet, wooded lot outside of Nashville, Tennessee, where he teaches theatre and music at a private school. An experienced performer, Braden enjoys singing, acting, reading, gardening, and long walks with the dog. 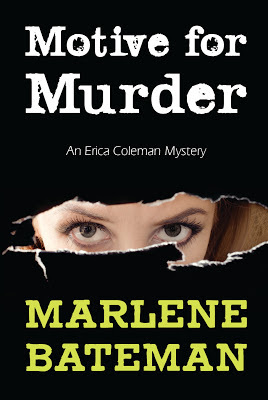 With Erica’s skill, solving the mystery should be a piece of cake but then a second homicide-attempt hits close to home and generates a whole new list of suspects. There’s no way to sugarcoat it, a murderer is on the prowl, and no one is above suspicion. As the plot thickens, it appears Erica may have bitten off more than she can chew, but she forges on, sifting through mounting evidence until she hones in on the killer who has a surprising motive for murder. With a dash of romance and some surprising twists, this thrilling mystery will keep you on the edge of your seat until the very last page. 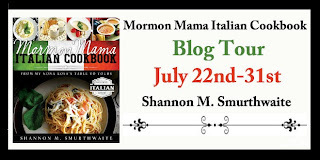 Welcome to a blog tour for Motive for Murder by Marlene Bateman. This mystery sounds so fun! You can purchase Motive for Murder on Amazon. "Motive for Murder is fresh, captivating, and cleverly written. The colorful cast of characters will enthrall readers as they try to navigate the clever twists and turns of this captivating mystery. Intriguing, memorable characters, and a skillfully written mystery make Motive for Murder Marlene Bateman's finest work yet—a must read!" "With a fresh, crisp writing style, Marlene Bateman introduces readers to a fascinating cast of characters and skillfully unravels an intricate plot full of twists and surprises! I loved Motive for Murder and you will too!" 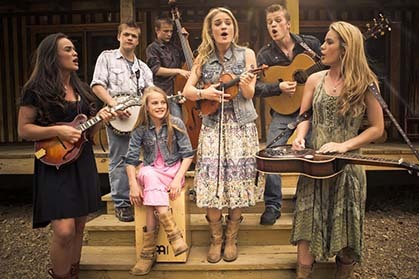 This week a new series "The Willis Clan" premiered, on Great American Country, featuring the family of 12 kids, aged from two to 21 years, from Tennessee. All of whom are Irish dancers. Many of the Willis kids are Oireachtas champions and Jeremiah (20) has placed sixth at All Irelands and seventh at Worlds. In 2013, the clan competed in the drama division at the World Championships, placing fourth. The new series, which runs Thursdays at 8pm, ET, features the day to day goings on in the Willis family as they prepare for the many musical and dance performances that are propelling their family band into a career. The Willis family is busy getting ready for the premier, but I was able to chat with the two oldest children, Jessica and Jeremiah, about Irish dance, family, and what the future holds for them. At 21 years old, Jessica is the main singer/songwriter in the family band. She plays piano, violin, and sings, and has written over 200 pieces of music. She has also enjoyed exploring various creative outlets including poetry, novels, costume design, and other visual arts. Starting off in Irish step dancing, she is now pursuing a wide education in all areas of dance including ballroom, west coast swing, and flamenco. Jessica has been called one of the last true romantics. Jeremiah, commonly called Jair for short, is 20 years old, and plays the acoustic, nylon and electric guitar, cello, uilleann pipes, whistles, flute, mandolin, banjo, and piano. Jair is a three-time champion in west coast swing and a three-time place winner in the World Championships of Irish dance. He also is a Tennessee state champion in both freestyle and Greco-Roman wrestling. Christy: What is it like living in a family that puts so much emphasis on performance? Jessica: A lot of hard work and a whole lot of fun! We get to travel, meet wonderful people, learn new things and enjoy a very full life. Since we perform so many different styles of music and dance we are able to take elements from all these genres and create a style that is our own unique fusion. The question is, what is coming next? The Willis Clan is looking to fuse elements of all these influences to create a new generation of music and dance that has Irish at its base and will continue in the great tradition of "Riverdance" that has allowed Irish music and dance to become mainstream worldwide. Irish dancers and musicians should follow The Willis Clan particularly if they study multiple styles as there may be opportunities to be a part of this amazing future. Christy: How did you get involved in Irish dancing? Jair: Our dad grew up in a family of nine kids, mostly boys, and they all wrestled. My mom and dad decided before they got married that they wanted 12 kids and my dad assumed that they would have 12 sons and he would teach them all to wrestle. However, he got eight daughters. His thought was, "What in the world do you do with daughters?" Then my parents saw "Riverdance" and knew what to do with all those girls - Irish dancing! As it turned out, the boys were all really talented dancers, too. They started the three oldest kids with Julie Showalter at the World Academy of Irish Dancing in Chicago. Christy: Tell me a bit about your experiences with Irish dancing - where have you performed, do you compete, what school do you attend? Jessica: We have performed all over the US and in Ireland. We had the opportunity last year to perform at the O2 arena in Dublin, Ireland, opening for Brad Paisley and The Band Perry. We competed in Irish dance when we were younger, but injuries prevented us from continuing. Jair, Jenny, Jack and Jedi are all Oireachtas champions and Jair placed sixth at All Irelands and seventh at Worlds several years back. We did compete with the Kristin Butke School (Nashville) at the World Championships this year in the drama division. One of the most beautiful things about Irish culture is the older generation passing the music, dance, stories, history and tradition down to the young people. Sometimes competitive Irish dancers miss this part. If you have never gone to a pub in Ireland during a session and spontaneously got up and danced because you were moved by the music, you have missed what Irish dance is all about. Christy: What is it like to have siblings who also Irish dance? Are you ever in the same classes together? Jair: Having brothers and sisters to dance with allows us to do so much. Creating choreographies and dancing together takes it to a whole new level. We have our own Riverdance! We have been in classes together and it works out great. 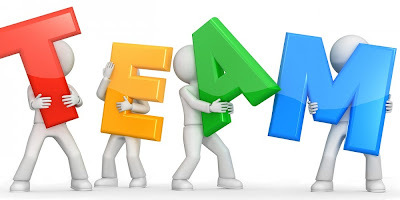 We can help each other and encourage each other and then work on it at home. Christy: Will we see you Irish dancing on the new show for Great American Country? Jair: Absolutely! The cameras followed us to the World Championships in Boston where we competed in the drama division. I think there is a whole episode devoted to it. They filmed the behind the scenes work such as costume making, rehearsals, set design—even some of the set backs and disasters. Christy: Do any of you plan to pursue careers in Irish dance performance or teaching? 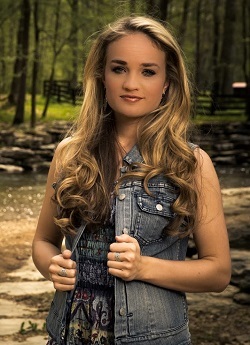 Jessica: We are all pursuing careers in music and dancing, but not just Irish. Riverdance introduced us to dance—all styles of dance. We all teach our younger siblings. Since we are on the road quite a bit we can't attend regular classes, so the younger kids in our family have to learn from the older ones. Jair is the most talented dancer in our family. He is one of the few young men in the dance world that has incredible star power, and is multi-talented, like Michael Flatley. Jair definitely plans to base his career around dance and music, and with the help of his brothers and sisters, hopes to create a world-class brand of Willis Clan entertainment. Christy: Do you have any fun or comical stories about Irish dancing together? Jair: We got into swing dance because we did an Irish dance exhibition at a swing dance event and fell in love with that style. There is a cabaret division in swing dance competitions so when we started competing in swing, we always entered an Irish choreography in the cabaret division. One competition had a crazy competition where you put together a spontaneous group, and in 3 days choreographed a number to perform. We took about 15 swing dancers and did a number from Riverdance. In 3 days we taught them how to Irish dance, made costumes and put on a great show, brought the house down - and won the competition. Never had more fun! Christy: What advice can you give to a beginning Irish dancer? Jessica and Jair: Embrace the whole culture - the music, dance, history, and the older generation. Listen to all the great Irish bands, and learn to play an Irish instrument. Even if you don't become an Irish musician, play some kind of drum so you become really good at rhythm. If you ever get a chance to take a class with Colin Dunne - do it! He will take your dancing to a whole new level. Baby your feet and try to avoid injuries. One of our family goals in Irish dance and music is to bring back the social element. Live music with social ceili dancing is so much fun and very few competitive Irish dancers ever get the chance to do it. Last year our band played at the North American Irish Dance Championships in Chicago each evening before awards. It created such a fun atmosphere that dancers spontaneously got up on stage and started dancing. There were probably close to 100 dancers on stage at once. We hope to inspire Irish dance events to include social dancing opportunities for all the competitors and their families. Dancing should always be about meeting other people and having fun! 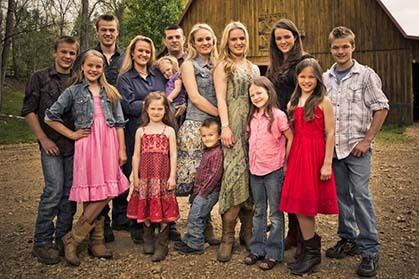 The Willis Clan premieres June 27 at 8p/7c on Great American Country (GAC). 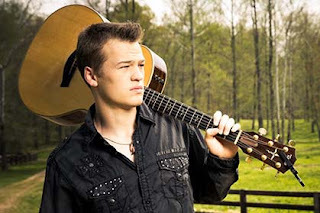 All photos courtesy of Great American Country channel.